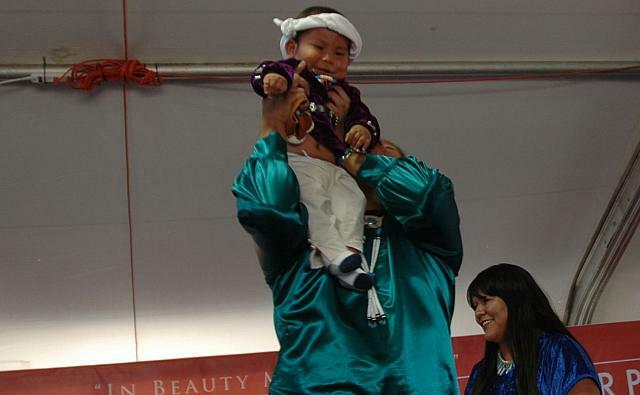 "From what they are doing now, they will be the ones to carry on the traditions and they'll be proud of being who they are," said Harrison Begay Jr., Mr. Wingate High School 2012-2013 and a judge for the contest. 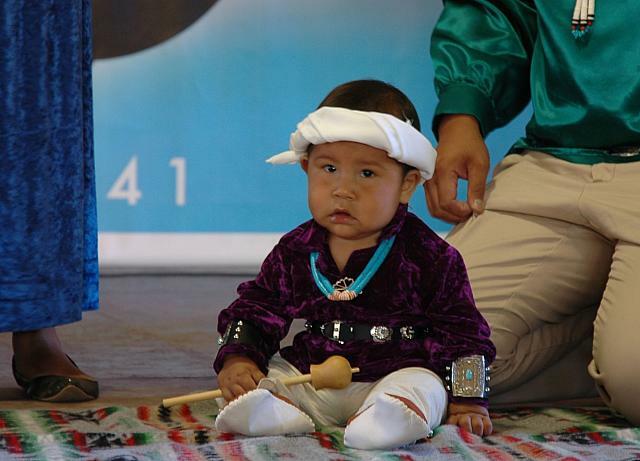 "As they grow up they'll be able to speak their language and learn the background of their culture.
" 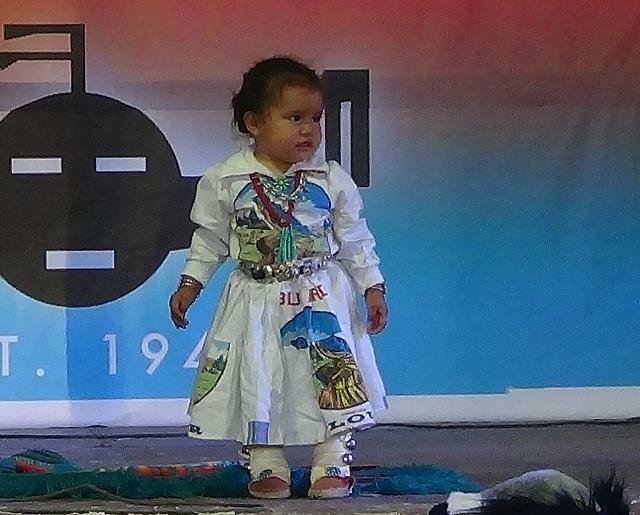 Each child went through preparation before the competition, like Noahana D. Halwood, who practiced the Navajo language for three months. 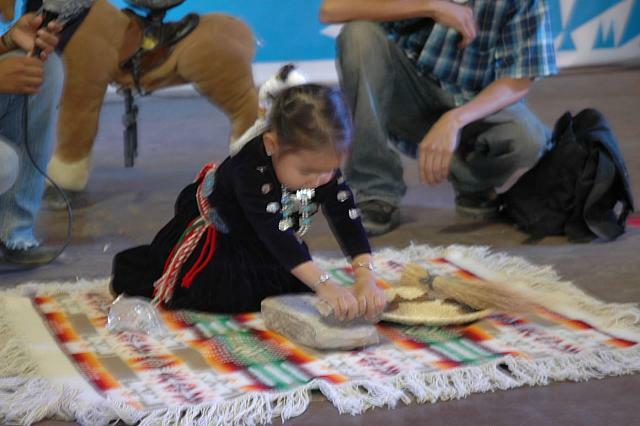 Halwood, from Chinle, competed in the 1- to 2-year-old division where her performance was corn-grinding and introducing herself in Navajo. 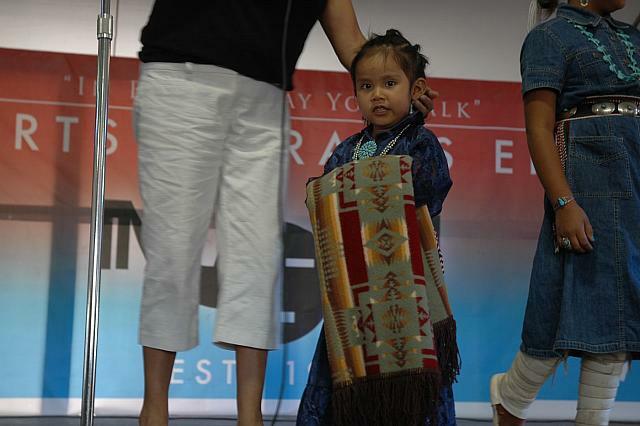 "She didn't know her clans or how to talk in Navajo and we told her, 'If you really want this, you need to learn how to speak in Navajo,'" said Vanna Benally, Noahana's mother. "My husband and I told her, 'Everybody's going to be telling you, What's your name and who are you?' 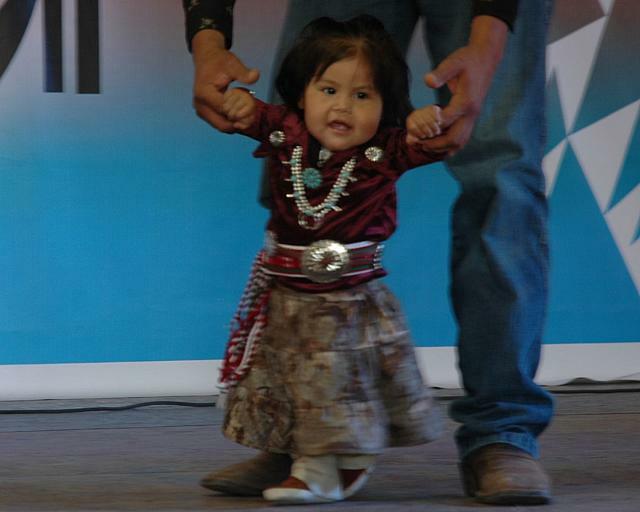 and you need to respond in Navajo. She replied, 'Yeah, I can do it.'" 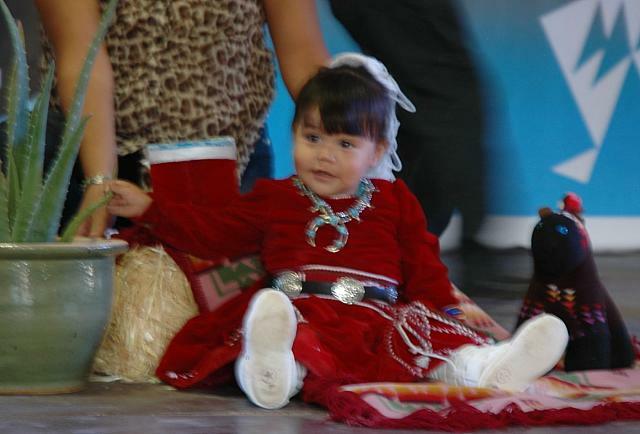 Miss Chuska Community School Bicheeké Yazhi Kyla Bitsie introduces in Navajo on New Year's Eve at the 16th annual New Year's Eve Sobriety Gourd & Powwow at Miyamura High School in Gallup. 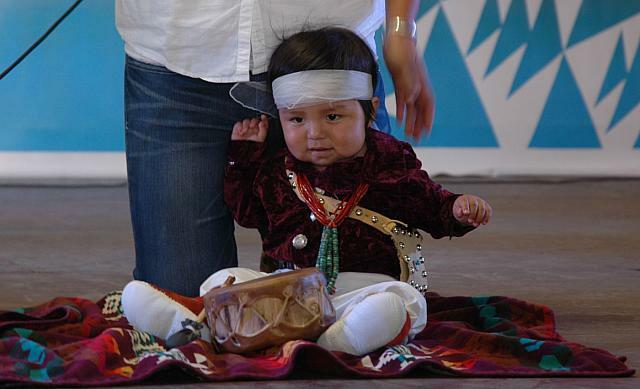 Responses to "Heartwarming Photos Show Navajo Children Keeping Cultural Traditions Alive"
Adorable! 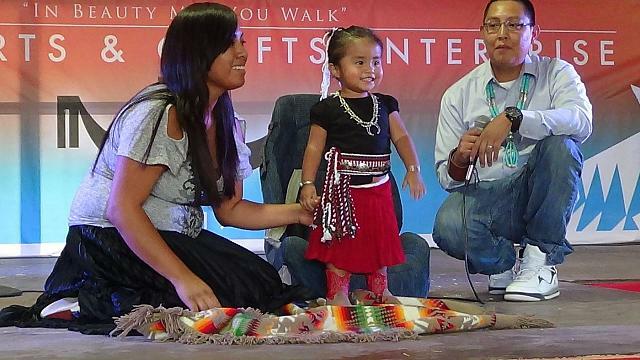 Look at the love and beauty in those happy little faces. Although I must admit it came to my mind, how back not long ago, soldiers, ran down villages and killed beautiful little children with happy faces, loved and adored by their parents just like these pictured. How could they feel nothing? Did they feel nothing? How could anyone let this happen? And then, thinking of what the soldiers did back then, people all over the world are still doing today to other people's. We must take a stand that all people have a right to life. Thank you for these sweet, precious children's smiles, and for giving me something worthwhile to think about. Prayers and hope.